Designed to give superior back support, comfort and relief! The ergo Curve Cush is the ultimate portable back cushion designed to prevent and relieve back pain and fatigue associated with sitting unsupported. The ergo Curve Cush's unique three dimensional contours provide unparalleled lateral support and comfort; the Curve Cush actually conforms to your back. Perfect in the car, office, theater or home. 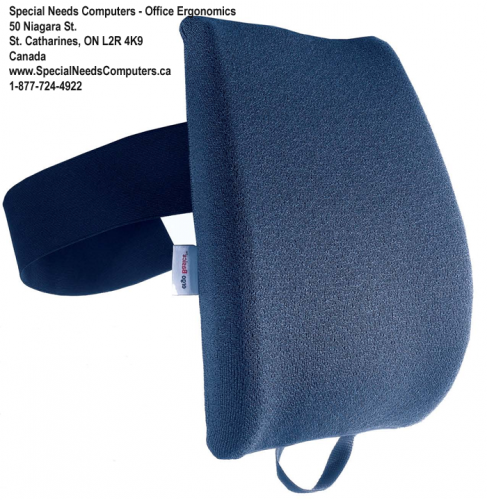 Ergo Curve Cush is the ultimate portable back and cushion designed to prevent and relieve back pain and fatique associated with sitting unsupported. The ergo Curve Cush's unique three dimensional contours provide unparalleled lateral support and confort; the Curve Cuse actually conforms to your back. Perfect in the car, office, theater or home.